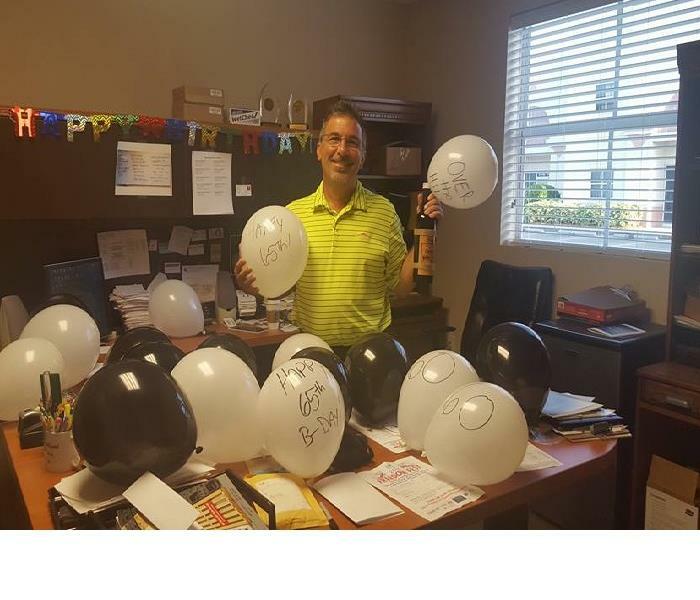 We suprised our boss for his 60th birthday by blowing up many balloons and writing "Happy 65th Birthday" on them. He was very surprised the next morning when he came into work and he really enjoyed his day here at the office. 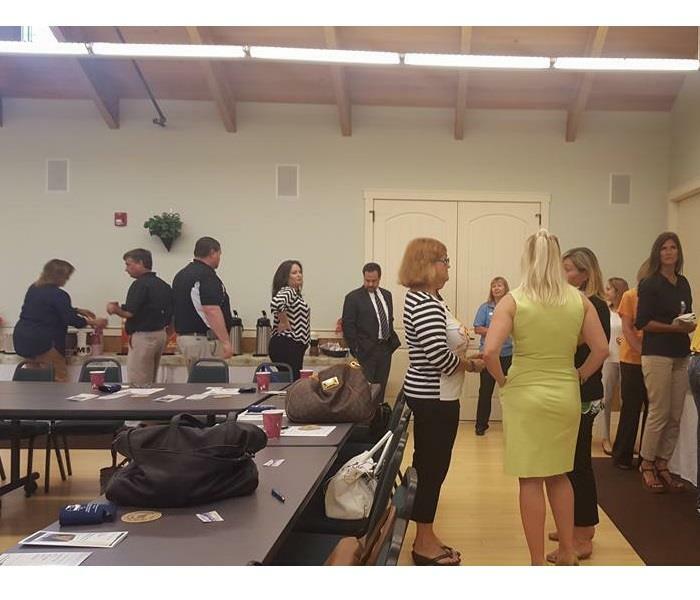 Each month on the 1st Wednesday of the month our local Chamber puts together a local breakfast networking event where we can network with other chapter members and connect with local agencies as well as community Association members. 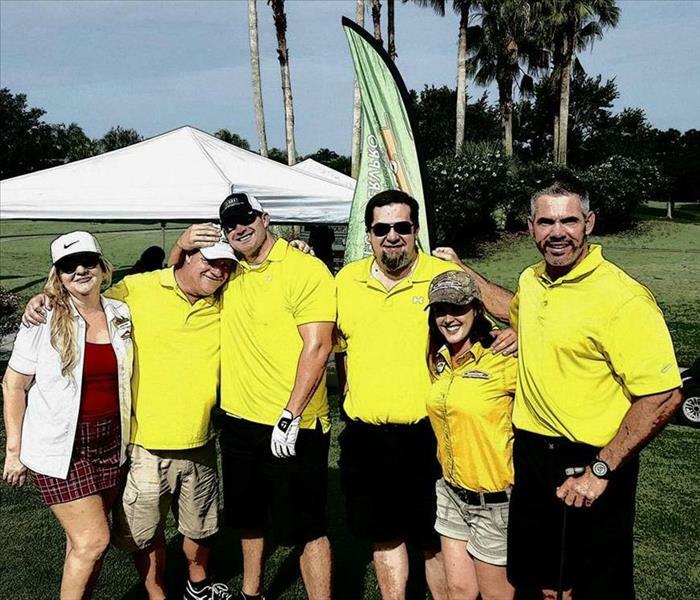 SERVPRO was a Putting Contest Sponor at the Gulf and Country club this may by having a Putting contest. 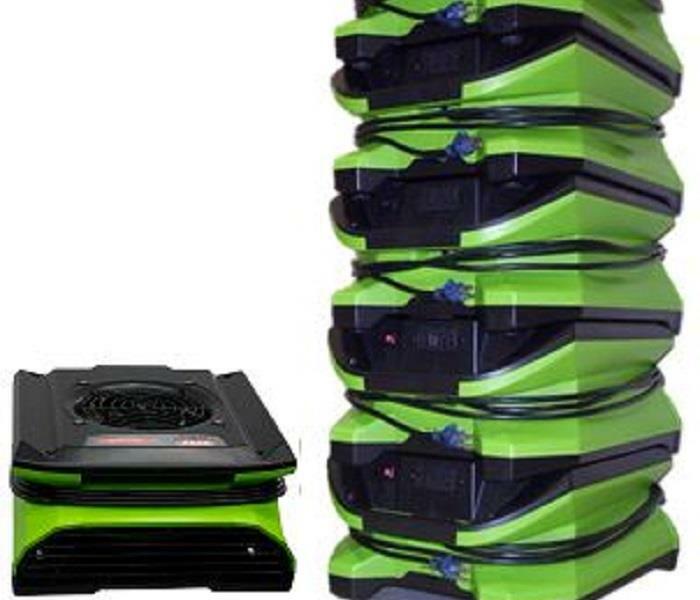 The winnings would be given to a charity of their choice. Our winner happens to be, Mike Miller, (Far Left). 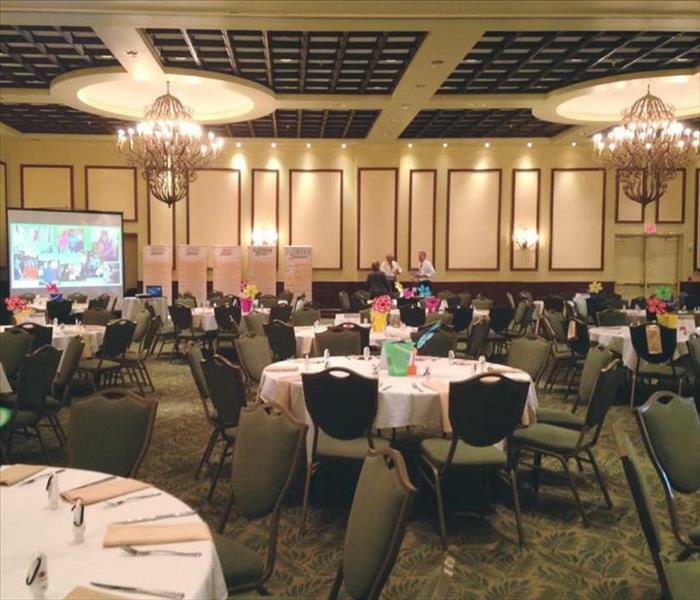 We shared this great event with other local Franchises such as: SERVPRO of Bradenton, SERVPRO of East Manatee, as well as SERVPRO of South Sarasota and SERVPRO of Venice. A local event chapter called CAI got together in a local area meeting to discussing ways on ho we can brand our Business to make it more beneficial for us all in the long run. Tessa shows Charity, our billing and receiving specialist the ins and outs of marketing our franchise and networking with other local businesses. 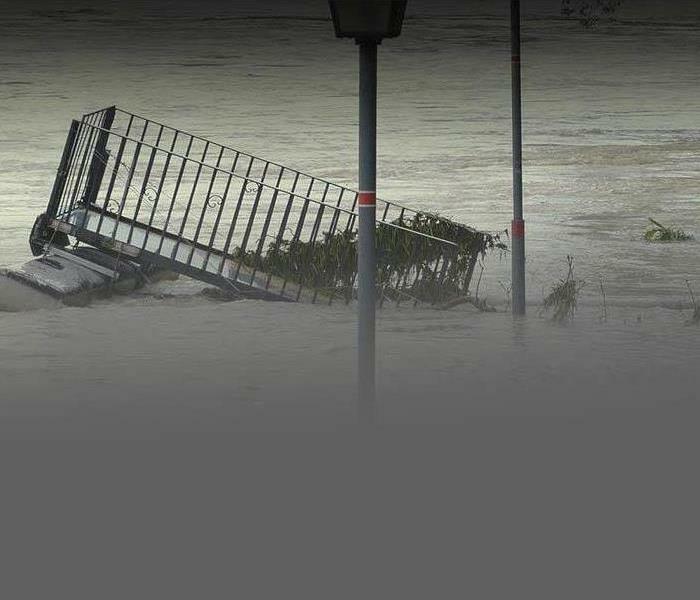 They were caught by the Observer Sarasota during the networking event communicating the effectiveness of having a mold, fire and flood remediation specialist on hand. Fire Code Compliance for Dryer vents and Trash Chutes Updates presented by Robert Ritz, Sarasota County Fire Code Plans Examiner. 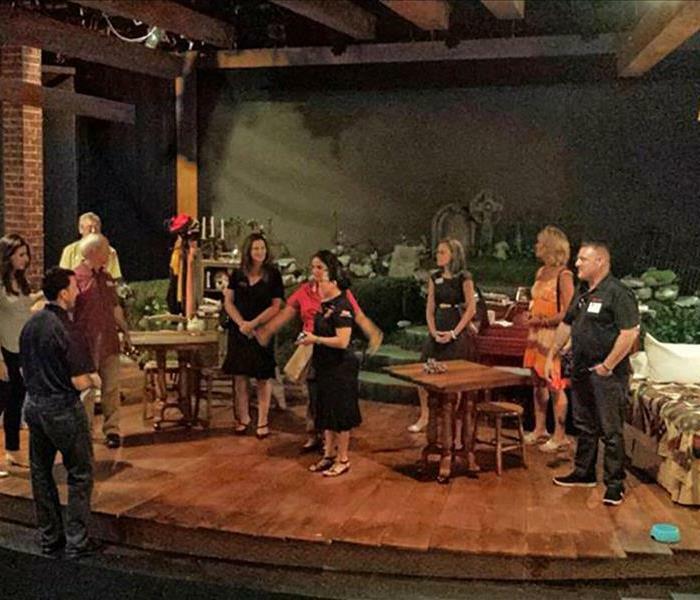 Sarasota Chamber of Commerce luncheon at Florida Studio Theater. They provided a delicious lunch along with a tour of the beautiful theater. 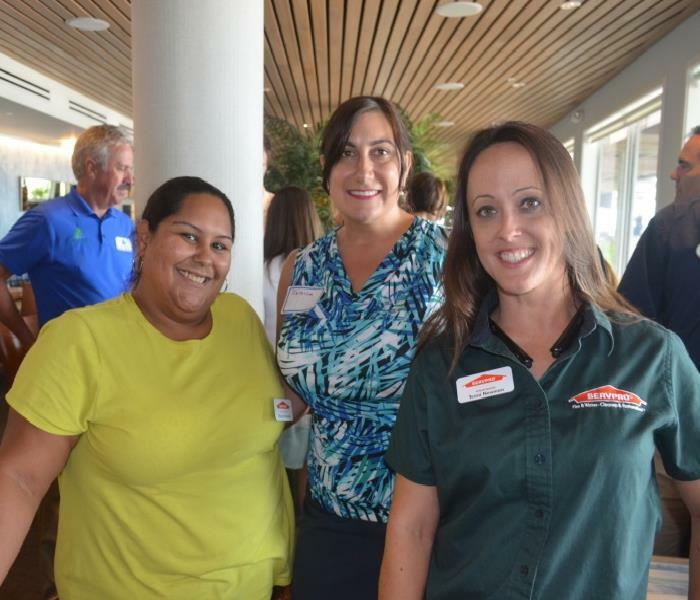 SERVPRO of North Sarasota at Seasons 52 in UTC Mall presented by Sarasota Chamber of Commerce. Chamber Members were gathered for delicious eats and great business connections were had at Greater Sarasota Chamber's Power Hour Luncheon, Stonewood Grill & Tavern on University. Disaster Preparedness Seminar at Longboat Key Chamber of Commerce Town Hall. Speakers were; Bryan Koon-Emergency Mgmt Director, Julius Halas-Dir. State Fire Marshal's Office, Emergency Mgmt Chiefs and Bob Harrigan-Chief Meterologist for ABC 7.